A new documentary about the iconic and heroic Jewish figure, Yonatan Netanyahu, is making its theatrical premiere in Washington, D.C.
A new documentary about the iconic and heroic Jewish figure, Yonatan Netanyahu, is making its theatrical premiere at the Avalon Theatre in Washington D.C., on May 18. Directed by Jonathan Gruber and Ari Daniel Pinchot of Silver Spring, “Follow Me: The Yoni Netanyahu Story” recounts the courageous Israeli rescue mission to Entebbe, Uganda on July 4, 1976, which freed more than 100 people who were taken hostage when an Air France place was hijacked by terrorists of the Popular Front for the Liberation of Palestine (PFLP) and the German Revolutionary Cells. 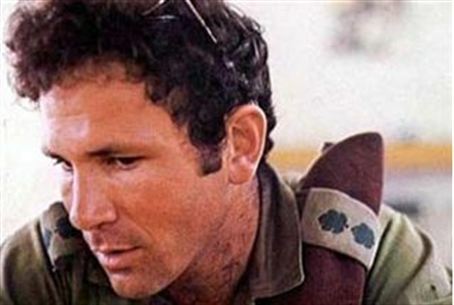 The single Israeli casualty from the mission was Yoni Netanyahu, brother of Prime Minister Binyamin Netanyahu and a figure that will forever resound in the hearts and national consciousness of the Jewish people. Yoni’s story is told through his letters, photos and interviews with his relatives and friends. Interviewees include Yoni's brothers, his first wife, the woman he was dating when he died and Shimon Peres. The letters, which have long been available to the public in book format, “are especially poignant, revealing both a romantic - a man who enclosed thistle with his love missives - and a heavy-hearted soldier,” notes a review of the documentary in The Washington Post. Those words may best reflect his unwavering dedication and love for the Jewish people and the Land of Israel.